The Client: The client is a distinguish state-of-the-art logistics facilitator in one of the world's fastest-growing economies and was incorporated in the year 1996 with a very small capital investment. The investment included only two trucks and a small regional setup. However, with the increasing experience every day, the company has grown into a fully-fledged enterprise with 1200+ trucks and a total of 48 branches in India. With the dynamically changing business needs, they have developed an infrastructure that offers services such as primary road transport, secondary road transport, express transport services, warehousing, and third-party logistics. Having proved their competence in logistics services in all industries in the core sector such as cement, chemicals, engineering, fertilizers, sugar, fast-moving consumer goods, consumer durables, retail, steel and power, they believe in holistic approach to attaining the desired result in an effective and efficient manner. The client was running multiple servers in the shared model environment and was facing major support issues. Their business was expanding day-by-day and they were experiencing more traffic on their website so, they needed more agility and were looking for round the clock support services. The client had major issues with their current Emailing solution and scaling of their current infrastructure. The i2k2 network project team analyzed the client's current infrastructure and proposed a multiple windows server environment. We also suggested the Zimbra enterprise mailing solution which will run on i2k2 Networks a dedicated server. The client is happy with the solution suggested by i2k2 Networks, they are now running on the dedicated server at i2k2 Networks own data center with 24×7×365 support services. The client is able to focus on expanding their business without worrying about the spikes and downtime, the mailing solution also supports client's growing business need as Zimbra can have an unlimited user without any extra cost. The client is able to save the good amount of money with the cost-optimized solution recommended by i2k2 Networks. The i2k2 Networks offer dedicated servers for large enterprises and high traffic websites, i2k2 have a dedicated team of professionals for Public and Hybrid Cloud Solutions. 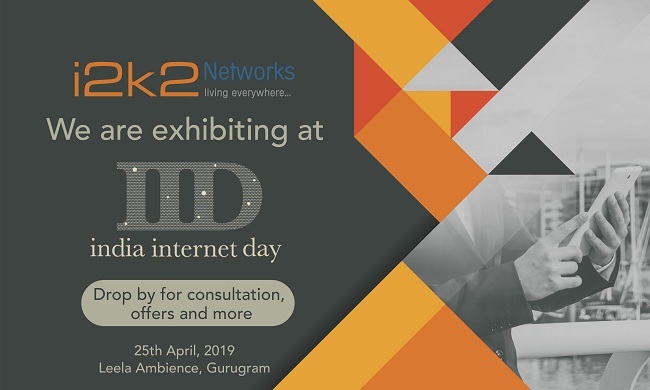 The i2k2 solutions give the customer complete control with unmatched customization, installation, configuration, flexibility, scalability, and 24x7x365 comprehensive support. The customer does leverage our expertise and solutions to get the ultimate hosting experience for their website and clients.